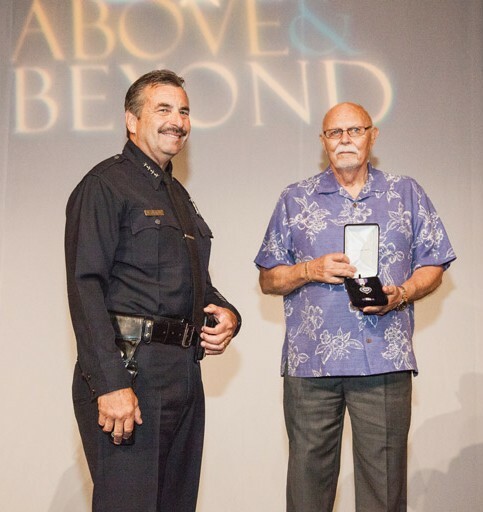 Chuck Huseman received his father’s LAPD Purple Heart from Chief of Police Charlie Beck at the Above and Beyond ceremony on September 4. On the night of December 22, 1945, when Chuck was about 10 years old, he said goodbye to his father, Norbert John Huseman (serial number E7425), watching him leave for his patrol shift at Newton Division. That evening, his father was shot. He died nine days later, on New Year’s Eve.